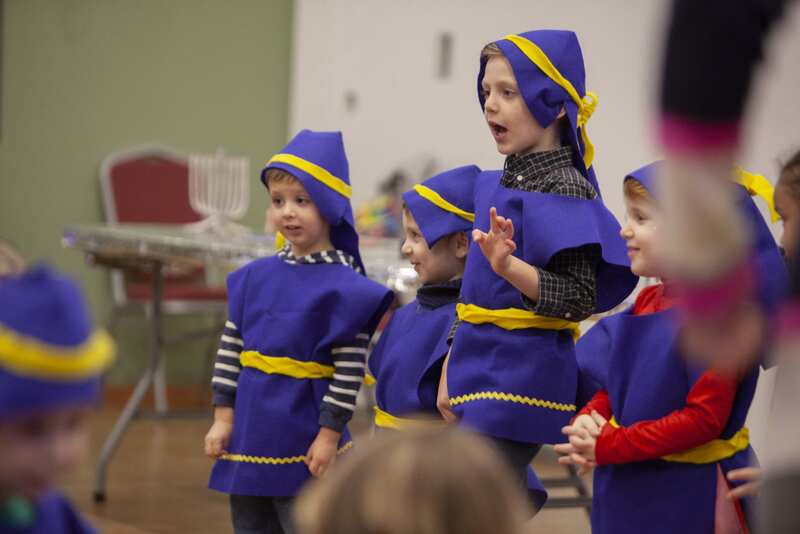 VANCOUVER — The Chabad Jewish Center in Vancouver was filled with laughing children and beaming proud parents during the center’s annual Hanukkah festival for children. The center, in partnership with the school Gan-Garrett Jewish Preschool, celebrated with dozens of children and their families on Sunday night. 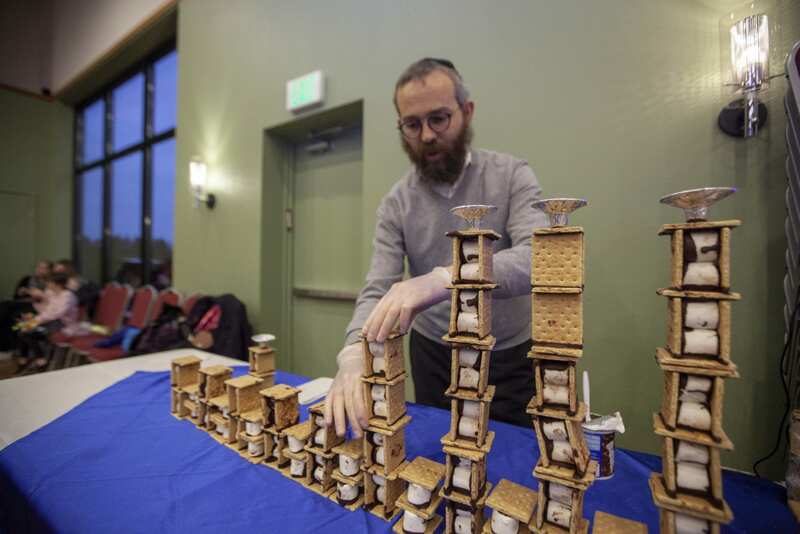 Children stuffed plush menorahs before enjoying traditional latkes and powdered doughnuts, while Rabbi Shmulik Greenberg, meticulously assembled a giant menorah made of s’mores. Hanukkah is the traditional Jewish festival that celebrates the rededication of the Second Temple in Jerusalem during the Maccabean Revolt against the Syrians. It lasts eight days, and is marked with the progressive lighting of candles on the menorah. 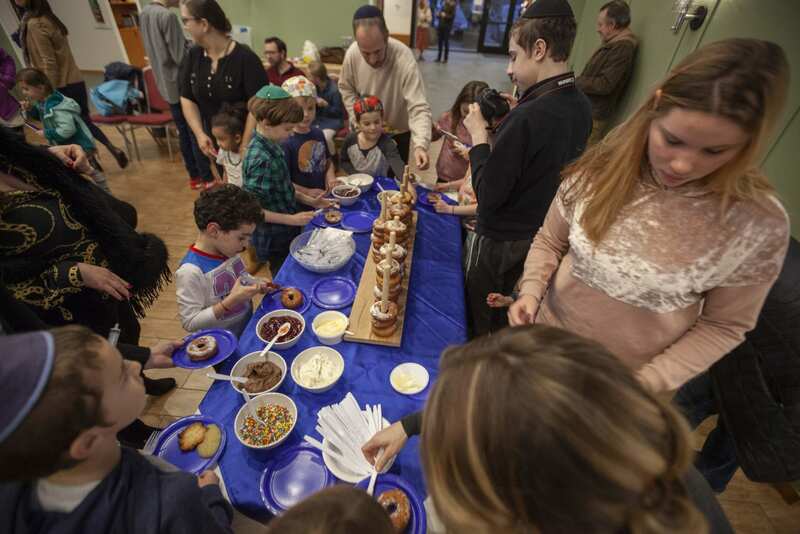 The night began with upbeat music and kids making their own stuffed menorahs, followed with families partaking in the traditional Hanukkah food. All of this lead up to the lighting of the giant s’mores menorah and family menorahs. 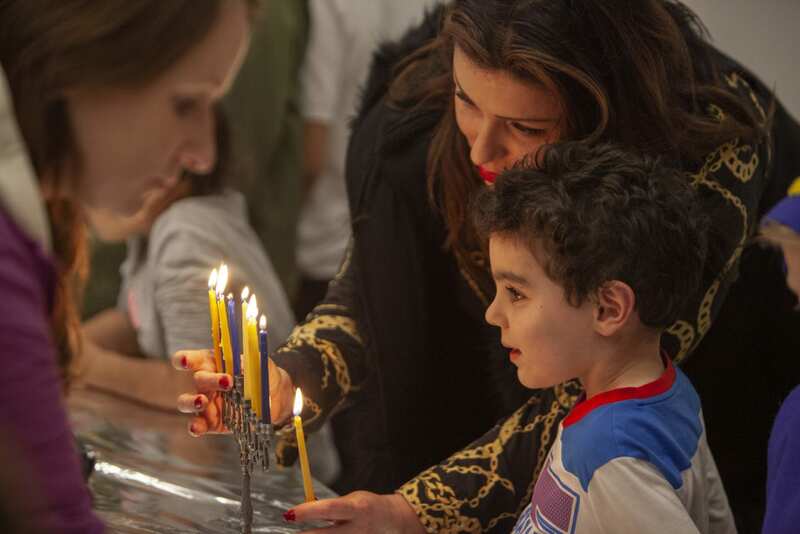 “They remember the s’more, but they remember more the menorah,” Rabbi Greenberg said. Rabbi Greenberg, who is originally from Israel, has worked at the Chabad Jewish Center with his wife Tzivie for 15 years now, and continues to establish new community events, like the large menorah in Vancouver’s Esther Short Park. At the Chabad Jewish Center, all Jews and Jewish families are invited to attend, and there is no required philosophy or level of commitment. Mittelman’s youngest son started at the preschool six years ago, and now he and his family are very involved in the community at the Chabad center. Mittelman said the personal friendship and guidance of Rabbi Greenberg and his wife Tzivie was a large part of why they stayed. The night concluded with each family gathering around their own menorahs and lighting each candle together. The joy and community displayed at the event is a much needed positive sight, coming just weeks after the shooting at the Tree of Life synagogue in Pittsburgh, that killed 11 people.